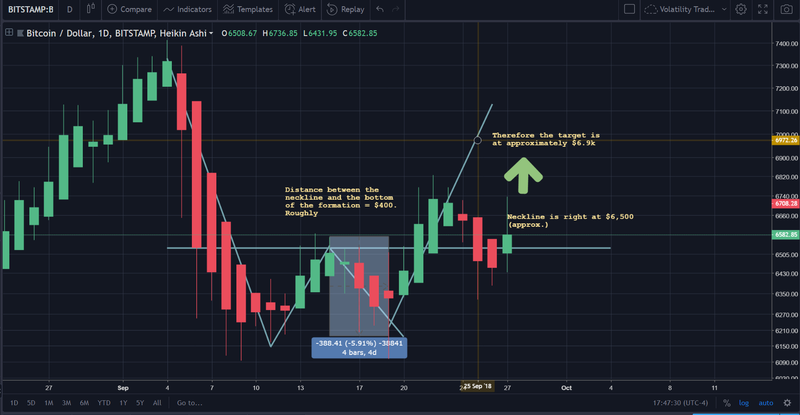 Given the ‘limbo’ that the price of Bitcoin has been in, in recent days, it only makes sense that we follow up on its price to examine what we can expect from this point going forward. As noted in our prior analysis, the primary pattern that we observed developing was the ‘double-bottom chart pattern’. The ‘W’ shape that can be seen on the charts above should be apparent. 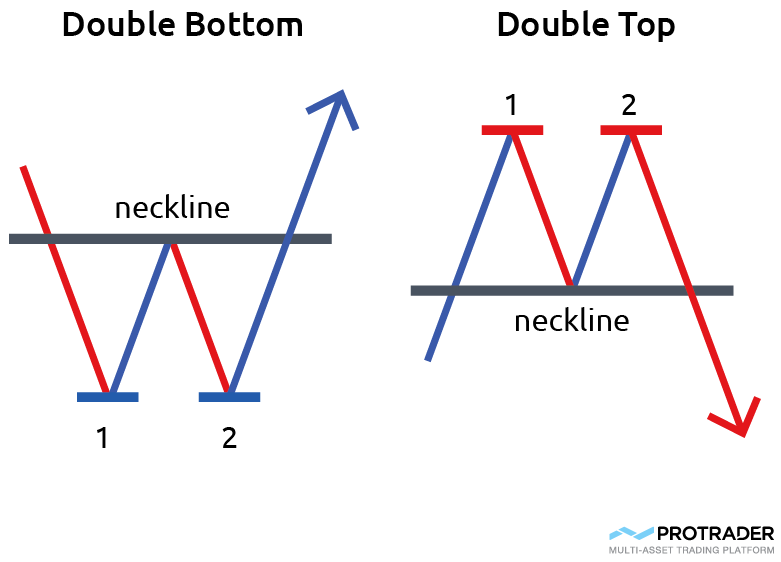 They symbolize the double-bottom formation. 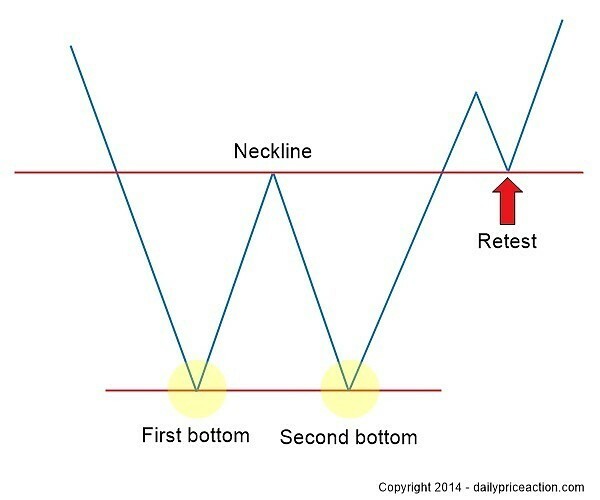 For those that do not know, this is a reversal pattern. Thus, in order to be valid, there must have been a prior downtrend in the price. If we scroll out slightly, we can confirm this with relative ease. There are a few more comments that need to be made about the chart posted above, but we’ll get to that a bit later in this article. 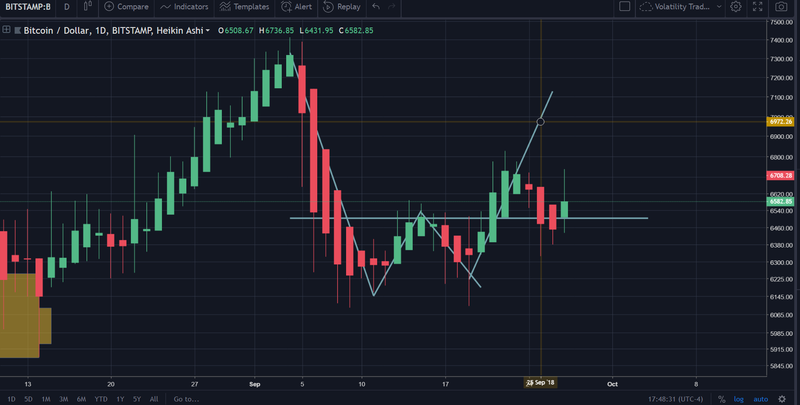 Now, if you looked carefully at the first two charts that were posted above, then you probably noticed that the price did not head straight up after it made it past the ‘neckline’ portion of the double-bottom formation. 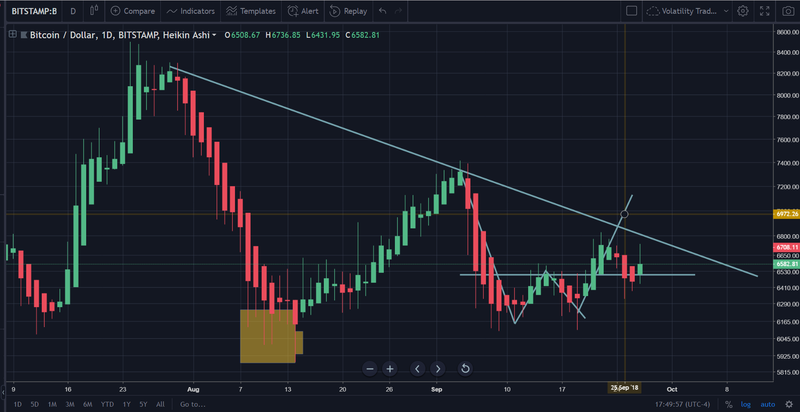 This is due to what we (in the last price article) theorized to be a re-test of the neckline before a definitive move upward. This is a common feature of double-bottom chart formations. Matches up pretty easily, doesn’t it? They aren’t guaranteed, nor have they ever been. Thus, its possible that the formation fails to ‘complete’ and the analysis here is rendered invalid. However, at this point in time, it appears as though everything is going ‘according to script’. Remember when this chart was posted earlier in the article? 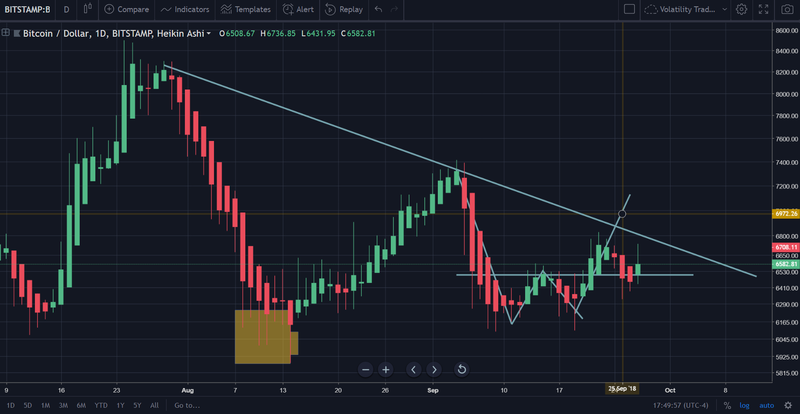 This is important to pay attention to because the downtrend line that can be seen on the chart is a potential prohibitive behavior to the double-bottom chart formation completing itself. 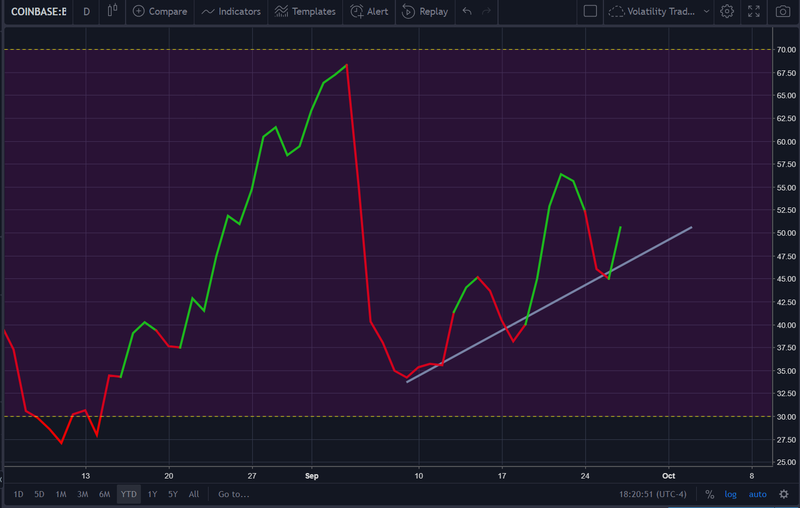 This is because the downtrend line is currently dictating that the price should ‘bounce’ back off of it very soon. 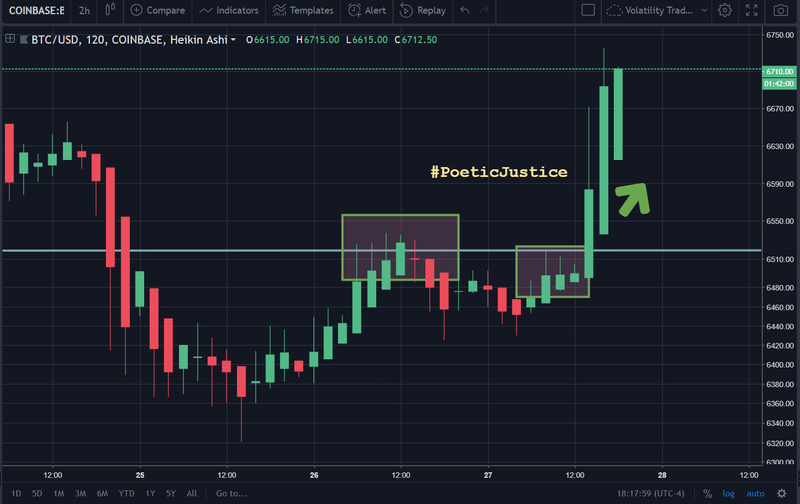 As this price analysis was being written (yup, that’s crypto for you), it appears that the very scenario that we were discussing appears to have manifested itself in full view for all traders to take advantage. As can be readily observed in the chart above, the RSI(14) on the H2 TF is already in overbought territory (as expected). However, this won’t have as much of a bearing on future (sustained) price action as the RSI reading on the daily will. So, let’s go check that out next. 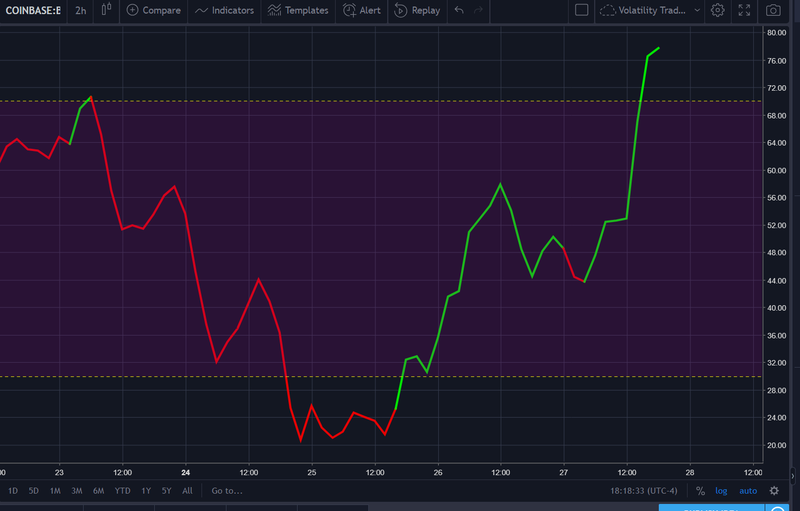 If you’re a Bitcoin bull, this is what you want to see. 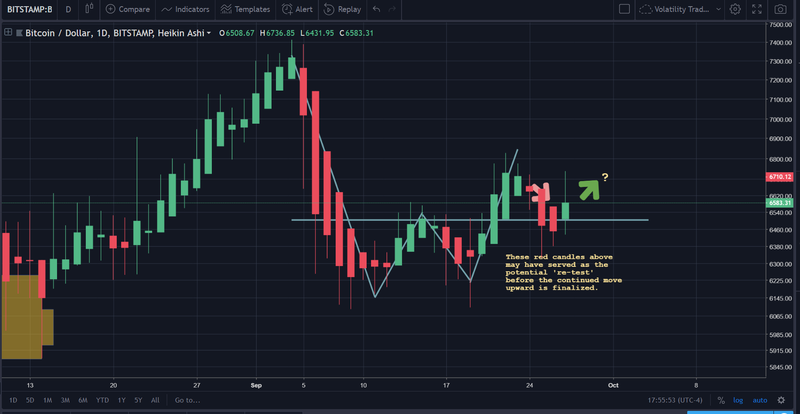 Despite the bullish indicators and patterns that were outlined in this article, the maximum upside for Bitcoin (in terms of price movement) still appears to be relatively limited. Traders should be careful if they are picking now as the time to enter into a long position. Maximum upside remains at $7.1k. 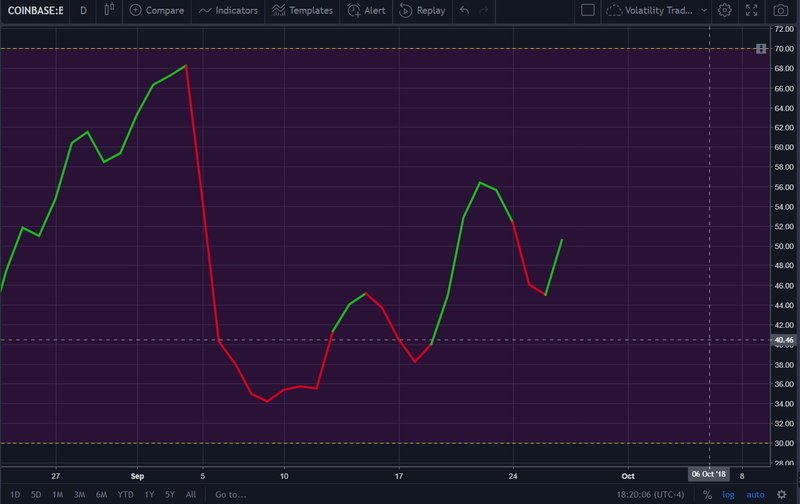 Depending on how the future forecast on Bitcoin looks (with a $7.1k max upside), getting a short at the ready doesn’t seem to be a bad idea in this scenario. However, there is, obviously, judgment that must be exercised first before initiating such a move. Disclaimer: The author neither owns any cryptocurrency at this time and has no affiliation with Litecoin, its subsidiaries or related entities. This article is not financial advice and the author holds zero liability for any decisions that you make contingent upon the information contained within.